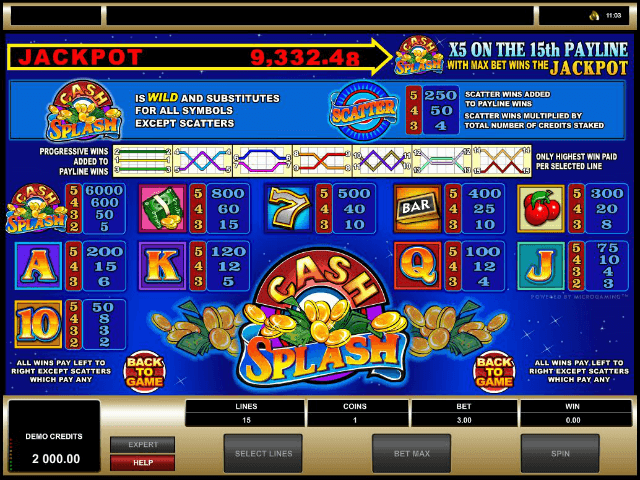 Cash Splash online slot puts a colourful spin on the classic fruit machine: with 5 reels, 15 paylines, and a progressive jackpot to boot. Cash Splash software provider Microgaming has opted for sleek and graphic icons, bringing the game in line with clean mobile apps and games. Read through our Cash Splash slot review to find out what makes this game infinitely more exciting than your average fruit machine! Play Cash Splash for Real Money! 200% Welcome Bonus up to €5000 + 50 Extra Spins! Inspired by Disney's The Lion King, Casimba Casino has strived to be a big cat in the online slot and casino gaming world ever since its release in 2017. Its credentials can be put to the test by playing games from a vast range of leading software houses and hundreds upon hundreds of quality games! 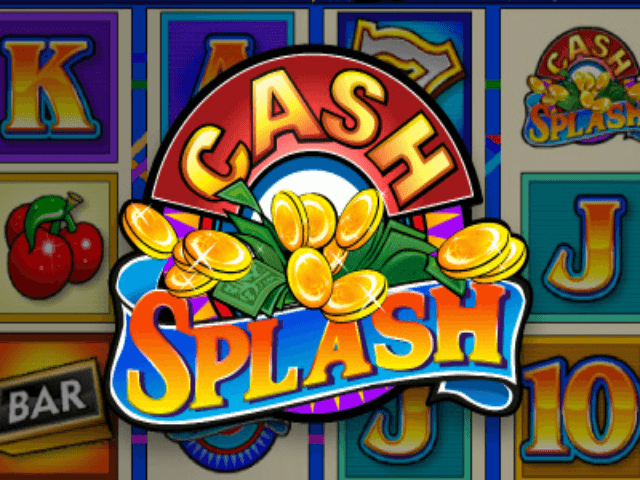 Cash Splash is a straight shooting slot, modernising the nostalgic fruit machine with its bright yet clean design. As well as a treasure trove of top prizes, you'll find a progressive jackpot up for grabs, too. Software provider Microgaming has strategically streamlined the game into a slick, non-stop gambling experience, allowing you to sit back, relax, and enjoy the spin of the reels. 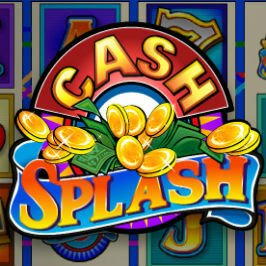 What's more, Cash Splash online slot features a live casino soundtrack, with faint chatter and classic gaming sound effects played in the background. Any more immersive, and you'd be in a real casino. Cash Splash also has a return-to-player (RTP) rate of 91.62%, and it's not hard to see why. Combined with the progressive jackpot, the slot promises big rewards for those who choose to take the plunge. Taking inspiration from classic fruit machines, Cash Splash's symbols pay homage to the original, while still maintaining a modern feel. In addition to casino tropes like 10, J, Q, K, and A, you've got the classic three cherries, gold bar, lucky 7's, as well as a big pile of cash. The latter is the highest of the standard symbols, with a full payline of these paying out to 800x the original bet. Insider tip: keep an eye out for the blue Scatter symbol logo, which will multiply your winning bet – even if the Scatter itself does not appear on the payline. If the Scatter isn't part of the winning line, three or more will have to appear to be put to use. Even so, these can multiply the bet up to 250 times. The Scatter also causes any payline it features on to work in both directions. The other symbol you'll need to watch out for is the Cash Splash game logo, which serves as the Wild. These can be substituted for any other symbol except the Scatter, and a full payline of these could see you win an incredible 6000x your initial wager. If you're looking to chase the progressive jackpot, simply utilise the handy autoplay feature. Winning the jackpot can be tricky: you'll not only need to score five of the Cash Splash Wild logos, but need to do so on the 15th payline. When the progressive pot has been claimed, the jackpot begins again at £5,000. However, the jackpot has been known to reach as high as £108,573, with averages closer to £25,860. The progressive jackpot tends to pay out every two to three days, and in order to be in for the bidding you'll need to be wagering the maximum bet. 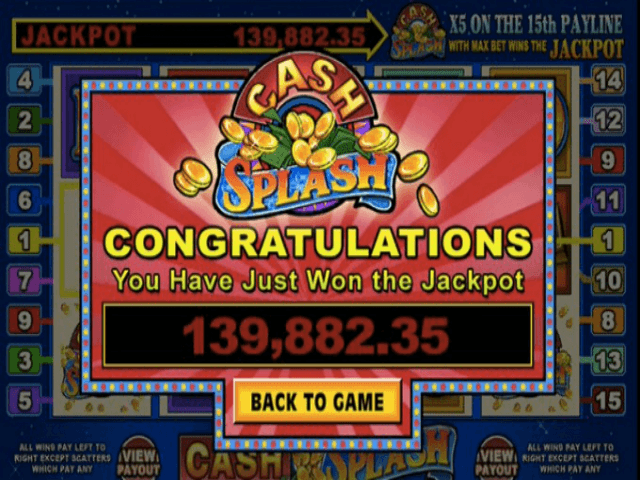 Share this Cash Splash Review today! 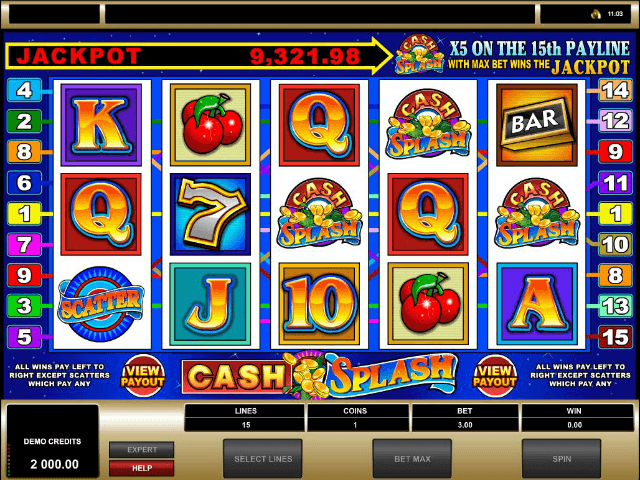 If you like Cash Splash, you'll love these slot titles too!